Much better way of viewing a topsy-turvy world? 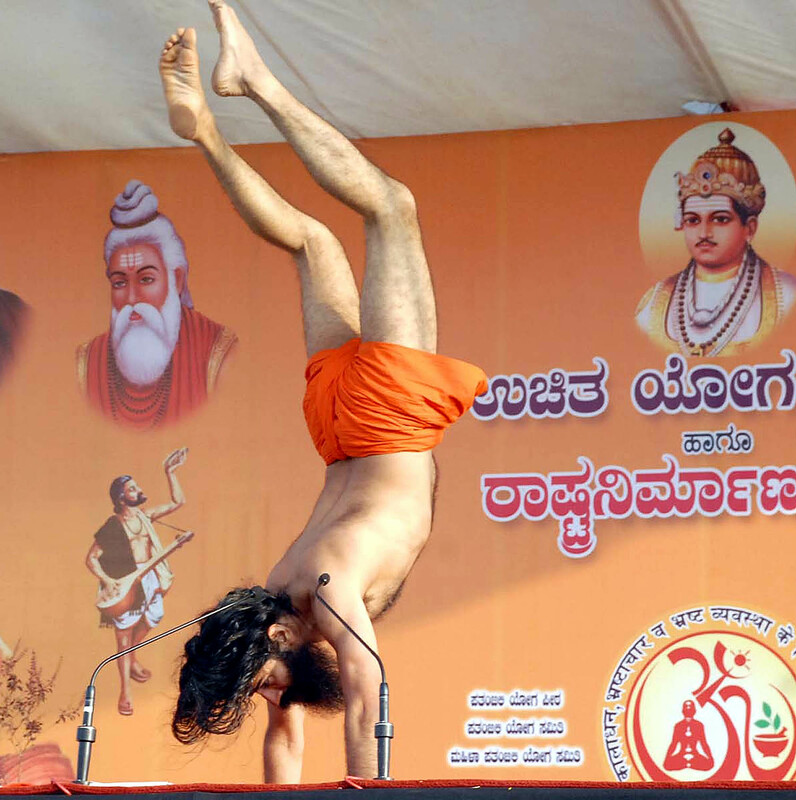 Also read: CHURUMURI POLL: Is Baba Ramdev‘s yoga bogus? This entry was posted in Issues and Ideas and tagged Anna Hazare, Baba Ramdev, Churumuri, Karnataka Photo News, KPN, Sans Serif. Bookmark the permalink. ← Sauce for liberals isn’t sauce for fundamentalists? How do you know what Anna drank/ate in those steel tumbler and after the stage show at Night ? Ramdev runs world’s largest preventive healthcare program. Churumuri does not have any idea of what easily accessible cheap daaru/gutka has done to the general health of the country’s population. Large number of people out there in the countryside can not afford expensive healthcare. Please do not mock/ridicule them. Thank you. What Anna drank/ate at night is not important. What he has achieved so far, and what he is trying to achieve now is what matters. As regards Baba Ramdev, certainly he has popularized yoga and ayurveda. However, his failure has cast doubts as to his claims. But, let us give him the benefit of doubt now. Cant say if kanakadasa, basavanna and other sage on the billboard(is it sarvagna??) would have approved this brand of yoga. Pranayama practitioners are not supposed to do aggressive fasting. It can consume the body. My comment was directed at the snide remarks about the prowess of Baba Ramdev and how Anna outlasted ! As for as Anna’s crusade, i can only say it is easy to preach than practice. Please read Justice Sawant’s comments about misdemeanor and maladministration of his trusts .